We are a bunch of Drupal development enthusiasts who simply love building sites and apps. Our developers have passion for coding, user interaction and truly trailblazing web development. Our success mantra for building great websites is to design from data-driven models, focusing on the creation of easily testable and thoroughly well defined and properly designed prototypes that can then be coded into most dependable Drupal CMS. When we say, we'll assist you, we don't just sit down and write the code or build your site and design it; we go far deeper inside it. We first investigate your entire business, its type, its needs, its success and failure, your competitors and what their moves are. Only then we frame out our online strategy in perfect collaboration of our creative and technological teams and of course, consulting with you in the entire process is mandatory to our working style. Until you approve our strategies and work plans, we don't implement them at all. 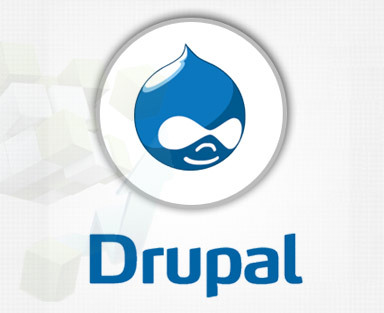 Wondering why we offer Drupal development services? Of course, we offer all the other wonderful technologies but still we have an entire team of developers who work right from the scratch to the completion of building an enormous web app or portal using this incredible framework. One simple reason is that it is an enterprise level content management system with easy scalability. Another important reason is that it is an effective open source system that is the base of about a million websites online. It offers most exact Workflow Tools and a Multilevel Menu System that work amazingly well in providing you with any kind of enterprise solutions. It has provision for add-on modules that help you get a more improved and more advanced interactive web experience. And since it is open source in nature, it has an entire volunteer community of people working on it from across the world that continually support and enhance the platform and at the same time empower the organizations and individuals for easy publishing, managing, upkeep, and proper organising of the online content. Whether you look forward to have an eCommerce store or aim at regular content management, it is a most satisfactory decision one can think to take as this framework is compatible across all the technologies, easily connects with other portals, saves a lot of time, and offers an enormous number of tool for organizing, structuring and reusing your content. And with its extension modules, it is most flexible and scalable in nature. At Adaptative, we offer services that cater to the needs of every industry size, shape, and type. We aim at providing you with feature-rich and user-driven solutions that fulfils all your content management requirements. Other designing and site building tasks that we accomplish for our clients include homepage slides, blogs, event calendars, News, FAQ's, and special user login for private content. Our experts whether they are designers, strategists, or theme developers, offer to use all the latest modules and component of the framework with an expertise in Salesforce, Site Map and the one based on XML, Ubercart, Constant Contact, Webforms, Views Export, Views Bulk Operation, Facebook Connect and much more and happily offer a complete solution for all the latest modules of the platform. When your hire Drupal developers at Adaptative, you get high quality services with best usability, brand enhancement through custom designing, best in class development, reliable hosting solutions, equally reliable after sales, and importantly, most flexible, cost effective development & designing solutions delivered in quick turnaround time.